Vietnamese Prime Minister Nguyen Xuan Phuc said on Thursday the government will consider scaling down the 99-year land lease policy expected to be approved for the country’s three planned special administrative and economic zones (SAEZ) following public outcry over national security concerns. Vietnam has plans to create Phu Quoc, Van Don, and Bac Van Phong SAEZs, which will function as models for stimulating growth and attracting foreign investment. The Phu Quoc SAEZ will be created on a namesake island off the southern province of Kien Giang, whereas the Van Don and Bac Van Phong SAEZs will be located in the northern province of Quang Ninh and the south-central province of Khanh Hoa, respectively. The entire project is expected to cost a whopping VND1,570 trillion (US$69.16 billion) to develop. As their names suggest, these SAEZs will function outside the scope of certain laws and policies enforced elsewhere in Vietnam, with the ultimate aim of creating attractive destinations for foreign investment. Longer land lease terms, visa waiver policies for citizens from select countries, tax exemptions, and the legalization of activities outlawed elsewhere in the country are just a few of the conditions that would separate these zones from other Vietnamese localities. However, draft laws on SAEZs submitted to the lawmaking National Assembly last month sparked concerns over an article dictating that land in the three special zones could be leased by foreign investors for up to 99 years. Critics of the bills say allowing foreigners to own land for nearly a century could pose serious threats to the country’s national security. Questions surrounding the 99-year term heated the floor of Vietnam’s National Assembly as legislators assembled this week in Hanoi for a Q&A session. 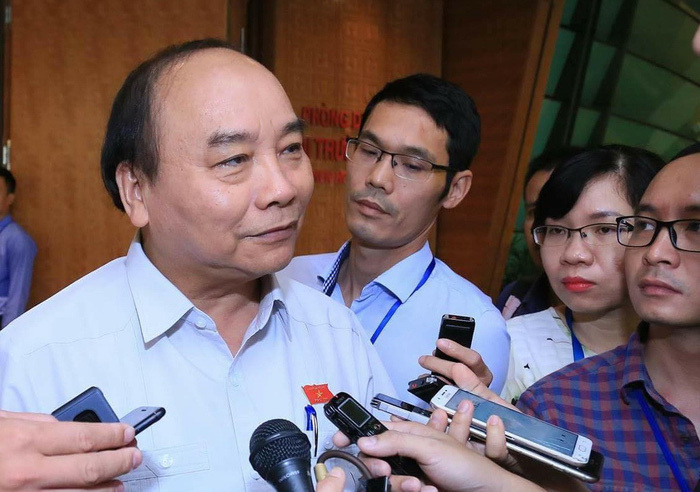 Speaking to reporters on the sidelines of the National Assembly meeting on Thursday, PM Phuc said the government would listen to feedback from the public and make “suitable reductions” to the land lease period before submitting a final draft of the bill to the legislature for approval. The 487-member National Assembly is set to vote on the law next week. “The government has received enthusiastic feedback [on the draft law] and we welcome more,” he told reporters outside the meeting hall. According to the premiere, even if the law allows foreign investors to lease land for a maximum of 99 years, it would only apply to special situations involving massive development projects that require significant time frames to build and operate. An SAEZ chairman is permitted to approve land leases of up to 70 years.Investments requiring 71 – 91 year leases would require approval from the prime minister, according to the draft law. In comparison, current laws in Vietnam allow maximum land lease terms of up to 70 years, though 50 to 55 years are most common. He added that there would be a limit on how many investors from the same country would be able to lease land in SAEZs in order to prevent monopolies and mitigate security risks. “There will be more specific regulations to monitor this process when we reach the actual development of these special zones, as laws only provide the basic legal grounds and framework,” PM Phuc explained. “Our national interest is paramount,” he stressed.